The Bible speaks of a great falling away in the last days (2 Thessalonians 2) before the end of the age arrives, and it seems that we're seeing it on a grand scale all around us. Virtually everywhere we look we're watching the decline of morality and ethics -- in government, entertainment, and social culture. 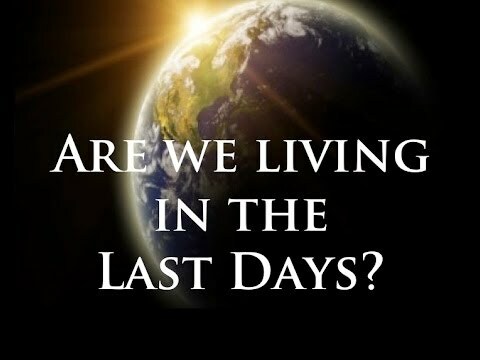 It seems hard to deny that we're living in the final days of abounding iniquity which Jesus foretold. This is not an easy time for true believers. The evil around us can be so discouraging and the darkness so oppressive that it really threatens our ability to walk in love. Yet the reality of the gospel is brighter and more relevant than ever in this world. And the inner light of Messiah burning in us will be all the more intense and warm in this gloomy landscape, if -- and only if, we fill our lamps with His holy oil and burn with His last days love. Anti-Christ culture is permeating our society. But we respond with the enduring culture of Messiah, a culture of supernatural love that will not die. Take heart and don't be deceived or discouraged, or allow your love to grow cold. These signs of the end are simply proof that God is on His throne and His sovereign Word is being fulfilled exactly as He spoke it. Continue in His love. Radiate His light. Wherever you are, wherever you go, bring His love. Love will endure, even forever. Dear Lord, as we look around us and see all the evil we pray that we would be faithful during this time in serving You and bringing others to the saving knowledge of You. In the Name of Jesus, Amen.